At Lottoland you can bet some of the largest prizes the world has to offer. We’ve got EuroMillions and EuroJackpot. From the States there’s the supersized MegaMillions and PowerBall events. We’ve also got Irish Lotto, Polish Lotto, events from South America and many more big events with massive prize money from Europe and beyond. At Lottoland we offer Fixed Odds bets on world renowned events. We allow you to bet on your lucky numbers. Hit any of the prize tiers available on the official event and you’ll win! For all intents and purposes you will have the same experience as if you had played the official event. The difference is that we take your bet locally and we pay you out locally if you win. At Lottoland we can guarantee you will be paid out on your winnings - regardless of the payout amount. For all smaller prize tier payments we make the payment directly from the funds we have available from the total bets placed on an event. In order for us to make the larger prize tier 1 payments we take out insurance policies to cover the eventuality of a substantial payout on the bet. Part of your stake goes towards the payment of this policy. We are registered with and regulated by the Western Cape Racing and Gambling Board, under bookmaker license number 10185705-002 , the UK Gambling Commission, the Gibraltar Gambling Commission, and the Revenue Commissioners in Ireland. In order for us to retain these licences we have to prove that we are able to make the required payouts to our players should they win and that we have the correct procedures in place to guarantee this. We’ve got a diverse staff of over 350 employees, from over 30 countries, and we are growing rapidly. First and only gaming company in the world to have its own insurance company (regulated by the FSC in Gibraltar and the European-IOPA). 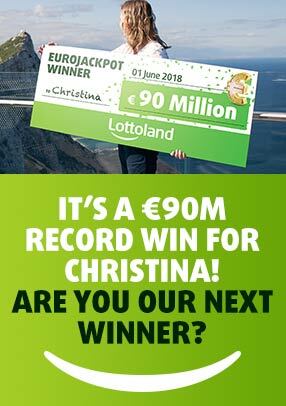 Lottoland is currently operating in 15 Countries across the globe, and more than 9 million customers worldwide.